National Guard Forces Command Day is a professional holiday in the Russian Federation celebrated on March 27 every year. It was established in 2017 to honor the military and civil personnel of the National Guard Forces Command of Russia. National Guard Forces Command Day is celebrated on March 27 because on this day in 1811, Emperor Alexander I of Russia created the first interior guard units in the country. These units are considered to be the predecessors of the present-day Russian National Guard Forces Command. The holiday was first established in 1996 as Internal Troops Day and received its current name in 2017. 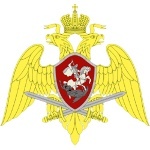 The National Guard Forces Command of the Russian Federation was created in April 2016, following the split of the Internal Troops of Russia from the Ministry of Internal Affairs and its transformation into the National Guard of Russia. It is the gendarmerie component of the National Guard. Today's NGF is a paramilitary force that consists of trained officers, conscripted servicemen and volunteer servicemen. Its main missions are security, national defense, public order, border control, military police functions, counter-terrorist operations, and possible counterweight to the regular armed forces, especially during wartime periods.